An athlete is considered to be a person inanely gifted physically to perform athletic tasks. It takes an immense amount of time, dedication, hard work and concentration to reach the zenith of athletics in any form. Today, the world of sports is filled with stories of wonder and amazement that tells the sweet fruits of labor that only a few of these have reached. These athlete are millionaires and rake in millions of dollars for their talent, skills and outstanding performances. 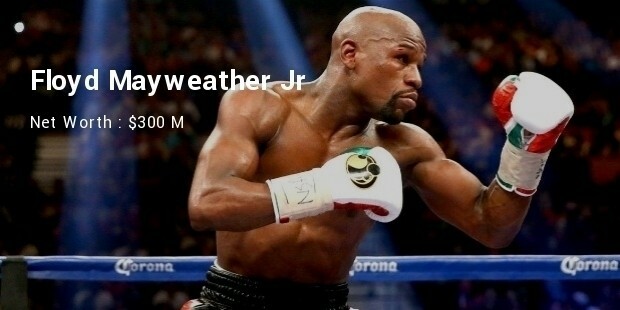 Floyd Mayweather Jr. is by far the most popular name in the world of boxing today. This American professional heavy-weight boxer is worth an estimate $300 million. This earning has shattered the world-record for the largest revenue generated by an athlete till date. Manny Pacquiao, considered to be one of the finest international professional boxers of today, is worth around $160 million. 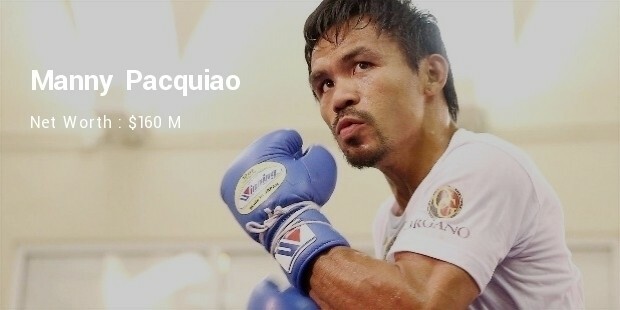 This Filipino boxer made a record for his personal earnings when he earned around $44 million against the famed fight with Floyd Mayweather Jr in 2015. Cristiano Ronaldo, is probably the most popular professional international footballer in the world today. His personal earnings from football is estimated to be around $52.6 million with another $27 million coming from various endorsement deals. This Portuguese footballer is also the 3-time winner of the FIFA Best Player of the Year and has more than 60 goals in a calendar year. 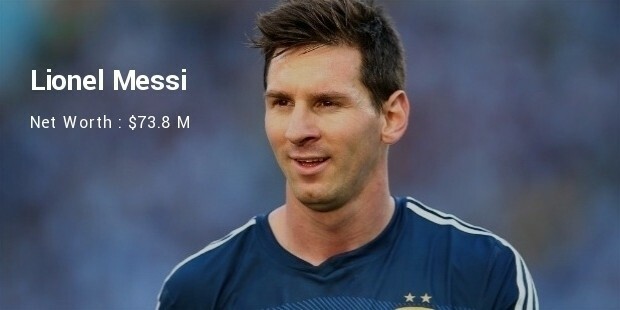 Lionel Messi, the Argentinean professional football player is worth around $73.8 million in match earnings only. This FIFA Player of the Year award-winner also earns around $22 million from several endorsement deals and is the record-holder for many top awards and accolades in club and international football. 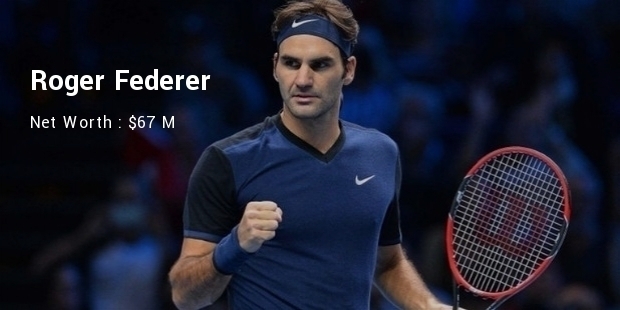 Roger Federer, the Swiss international professional tennis player is worth an estimated $67 million today. His match earnings of around $9 million compares poorly to his endorsement deals in the range of $58 million, proving his popularity in the global sports arenas as well as worldwide. 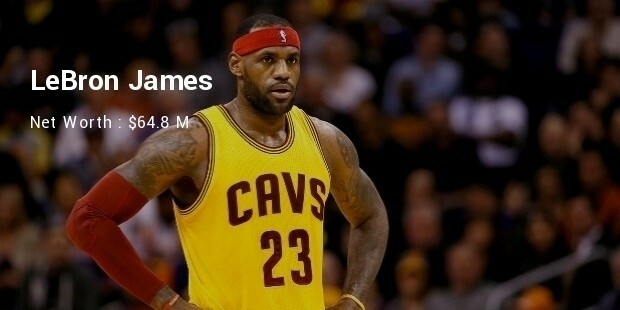 LeBron James, one of the most popular and renowned American professional basketball players in the world, is estimated to be around $64.8 million. He earns around $20.8 million from match earnings while his endorsement deals brings in around $44 million, making him also one of the richest hoopster in the world. 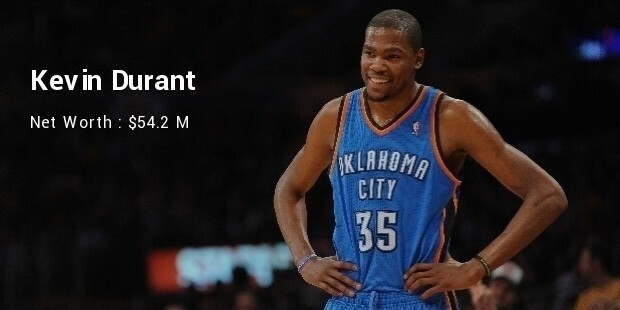 Kevin Durant, is an American professional basketball player, with a worth estimated to be around $54.2 million. A popular face in the basketball court as well as outside it, Kevin has reportedly earned around $19.1 M in match fees while earning an astounding $35 million in various endorsement deals. 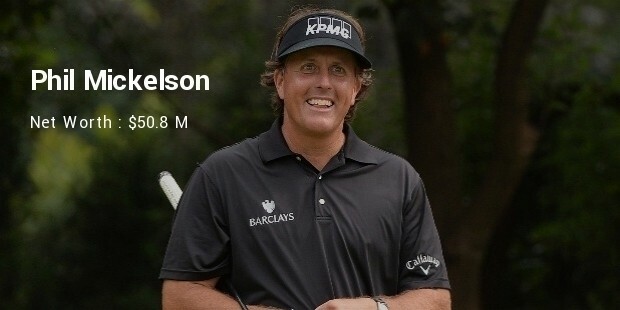 Phil Mickelson is an American professional golfer and is estimated to be worth around $50.8 million in total. He earned around $2.8 million in match fees while earning more than $48 million in the various endorsement deals he does with various popular brands. 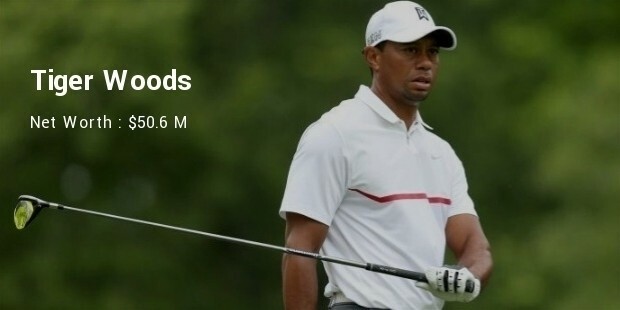 Tiger Woods, once the top-paid golfer and most valuable athlete in the world, is down to the bottom of the list with an estimate of around $50.6 million. He earns around $600,000 in match fees while his numerous endorsement deals with global brands earns him a cool $50 million along with the match earnings. Kobe Bryant is an American professional basketball player who has an estimated worth of around $49.5 million. 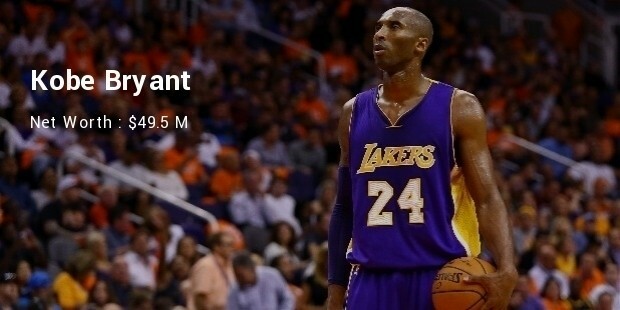 His NBA salary of around $23.5 million makes him the highest-paid basketball player in the world as well. His various endorsement deals rake in around $26 million extra to add to his match earnings. These players are legends and record-holders in their respective fields, and have achieved the zenith of the world of sports through skills, talent and sheer hard work combined with dedication. The millions these athletes earn may be from endorsement deals and less from match earnings, however it just goes to show how they have achieved celebrity status down the line since they started years back as amateurs. The dedication and amazing performances make their worth more than they actually earn.